In this specially illustrated, limited edition offering by M. Allen Cunningham, “one of America’s most promising voices” (ForeWord Magazine), ten distinctive stories trace the disappearance of things physical, spiritual, or poignantly unnamable from various characters’ lives. An evangelical minister sets out to win back the trust of his flock and save his ‘fallen’ teenage son, meanwhile tormented by his own bedroom sins; a lively centenarian languishes in the confines of a retirement home, longing for a youthful life of freedom; disease leads a bereaved woman toward long-avoided reconciliation; and a taxidermist studies life and death through the artful models he creates. Relevant and emotionally resonant at every turn, Cunningham's stories have the power to remind us why forgiveness matters, how tenderness can overcome human frailty, and that love is always a work-in-progress. 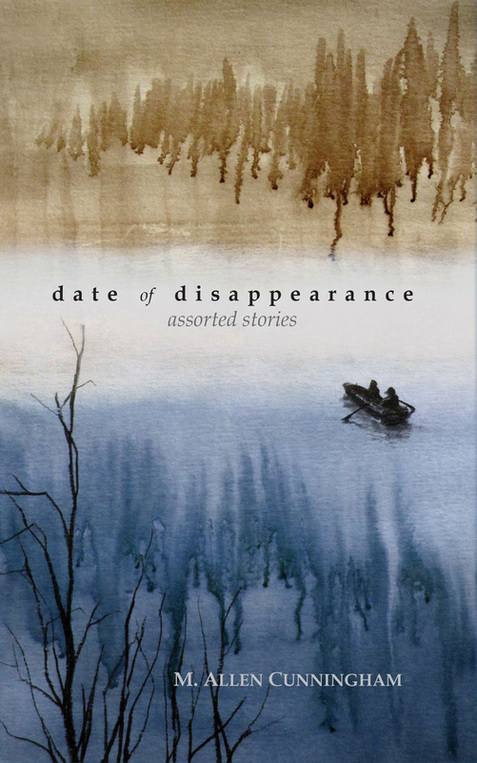 Date of Disappearance is presented in a gorgeously designed limited-edition paperback illuminated with ink-and-charcoal illustrations by artist Nathan Shields (see slide show below). Each copy comes numbered and autographed by the author, providing readers a uniquely beautiful and personal art object for the keeping.